Jewellery Collections is a New Zealand jewellery company who sold an exceptional range of quality cosmetic jewellery and accessories through their website and organised parties. Shine was asked to design a company brand, business stationery, a promotional brochure, gift vouchers and website. 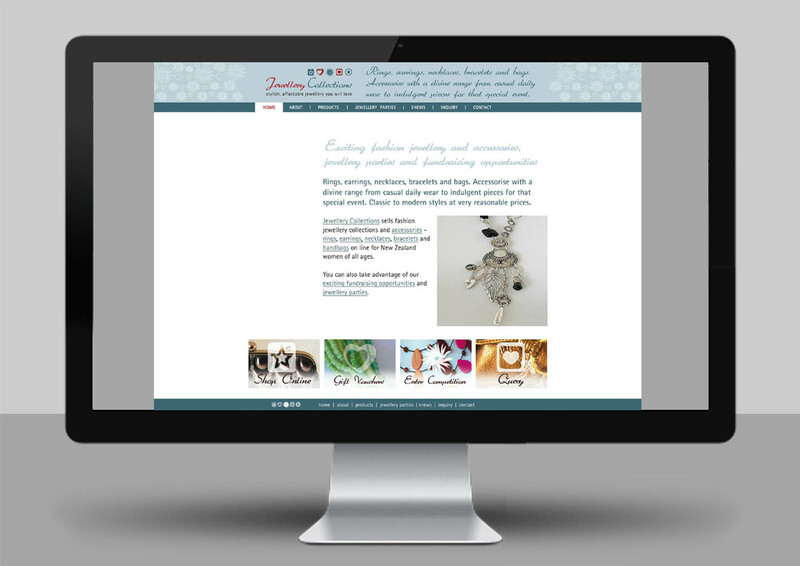 Brief: To design a website advertising Jewellery Collections products website and parties. Solution: A simple e-commerce website that follows the same design style as the brand.